The online catalog is your comprehensive resource for information about courses, majors, minors, and the degree programs offered at SUU. The sections of the catalog covering academic policies and graduation requirements are designed to help you navigate your journey as an undergraduate or graduate student at SUU. As you will see, the My Catalog feature allows you to personalize the catalog to best suit your needs. In addition, the link to DegreeWorks helps you better plan your schedule as you work with your academic advisor each semester. The Keyword and Advanced Search function on the top left of the homepage have been designed to make it easy for you to seek out information anywhere in the catalog website. The Catalog F.A.Q.’s also contain links to sections of the e-catalog students most often seek. And, should you need to print a page from the catalog, you will see the “Printer-Friendly Page” icon on the top right side of each webpage next to the Help button. You will also now be able to bookmark webpages you regularly visit in the catalog. Lastly, listed below are descriptions of some of the key content areas of the e-catalog. While we strive for accuracy in our 2016-17 catalog, we also recognize there may still be errors you find. Please e-mail catalog@suu.edu with any corrections or comments you may have. An Overview of Southern Utah University provides information about registration, fees, financial aid, housing, student activities, student affairs, and other policies and procedures. Obtaining A Degree at SUU is your starting point for choosing an academic or technical program of study. It describes the various types of degrees and certificates offered, the general requirements for each type, and other policies and procedures that apply to all degrees. It also tells you how to read the table of requirements for your chosen program. Colleges & Schools provides an overview of the University’s six academic colleges/schools, and other academic units, as well as the degrees offered by each college/school, and its departments and programs. Academic Policies & Procedures discusses Admissions, Grades & Credits, and key academic policies pertaining to registration as well as general university policies. 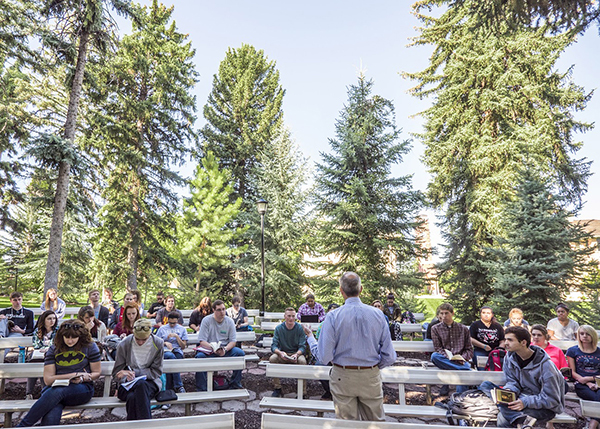 General Education describes the general education requirements at SUU, Experiential Education provides information about our signature EDGE program, and Academic Programs will help you find the information you need about specific programs and course offerings. It describes in detail all the undergraduate academic programs and course offerings. Within each section, programs are listed alphabetically (with cross-references as needed). Graduate Studies details the graduate programs that are available. Are you looking for different Catalog? 2012 or later: Select the year of your choice from the dropdown menu at the top of the E-Catalog page, or visit the General Catalogs page. 2011 or earlier: Visit the General Catalogs page. We have tried to make this catalog as easy to use as possible, but you will probably still have questions. For questions regarding your academic program (even if you have not chosen a major), you should contact the Student Success Advising Center. For questions on other issues (for example, admission, financial aid, registration, fees) contact the offices listed in the appropriate section. Southern Utah University is accredited by the Northwest Commission on Colleges and Universities (NWCCU). Please see our published statement on Accredited Status.